What is Fault Move ment? what is Dipslip Movement? But some movements have components in both directions; however only one direction of movement is generally predominant. 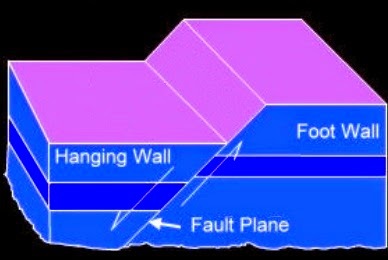 The materials beneath fault plane is called foot wall as shown in figure above. 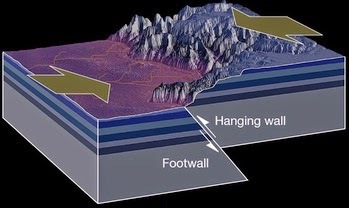 So when hang wall moves down ward with respect to foot wall, normal fault movement is occurred which is usually observed in conjunction with tensile stress within the earth crust producing lengthening of crust in horizontal direction. When the movement have compressional horizontal movement, reverse faults are said to be occurred. In this movement hang wall move upward with respect to foot wall and horizontal shortening (crust) is observed. In this movement also hang wall move upward with respect to foot wall but difference is small angle of dip of fault plane. 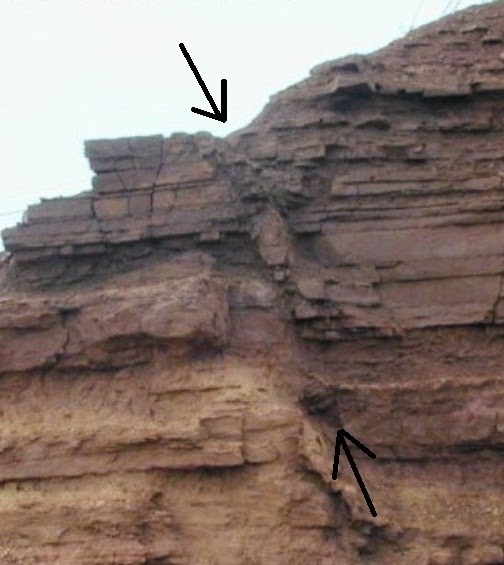 The example is European Alps which is thrust structure indicating potential of producing large movement.